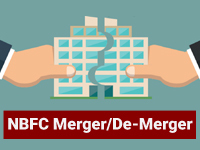 History of NBFCs – How NBFCs have Evolved! The non-banking financial companies (NBFCs) which are heterogeneous in nature in term of activities and size are important financial intermediaries, and an integral part of the financial system in India. They have been able to carve out a niche for themselves in meeting the credit needs of both wholesale and retail customers. NBFCs in India made a humble beginning way back in the 1960’s to serve the need of the savers and investors whose financial requirements were not sufficiently covered by the existing banking system in India. 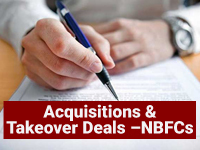 The NBFCs began to invite fixed deposit from investors and work out leasing deal for big industrial firms. Initially, they operated on a limited scale and could not make a significant impact on the financial system. During the first stages of their development, this business of financing was regulated by the Companies Act. At that time a need was felt that due to the unique and complex nature of operations and also financial companies acting as financial intermediaries, there should be a separate regulatory mechanism. Accordingly Chapter III B was included in the Reserve Bank of India Act, 1934, assigning limited authorities to the Bank to regulate deposit taking companies. The RBI has since initiated measures to bring the NBFC sector within the realm of its regulation. The RBI accepted and implemented the key recommendations of James S. Raj Study Group formed in 1975 that financial companies be allowed to gearing often times. As per the salient features of the Directions, the hire purchase and leasing companies could accept deposits to the extent of their net owned funds. The Directions also required the Companies to maintain liquid assets in the form of unencumbered approved government securities. 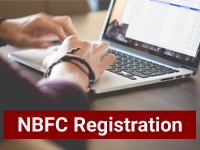 Between 1980’s and 1990’s, NBFCs gained good ground and started to attract a huge number of investors owing to their customer friendly reputation. Since the days of Liberalization, Privatization and Globalization (LPG, started in 1991), there has been a mushrooming growth of NBFCs; the number of NBFCs grew from a mere 7000 in 1981 to around 30000 in 1992. This is when the RBI felt that it was becoming increasingly onerous for it to regulate the industry. In 1992, the RBI formed a Committee headed by A. C. Shah, former Chairman of the Bank of Baroda, to suggest measures for the effective regulation of the industry. The Shah Committee gave its recommendations, which ranged from compulsory registration to prudential norms. January 1997 witnessed drastic changes in the RBI Act, 1934, especially the Chapters III-B, III-C, and V of the Act with the fundamental objective of putting in place a complete regulatory and supervisory structure, aimed at protecting the interests of depositors as well as ensuring the robust functioning of NBFCs. In the period following the amendment of the Act in 1997, the NBFCs have evolved substantially in terms of operations, variety of market products and instruments, technological sophistication etc. In the last 20 years, the NBFCs have gained much significance by adding depth to the overall financial sector. In light of the growing significance of NBFCs as a key player in broadening the financial base of India, it generates paramount academic and research interests to delve deep into its onset, growth and performance. In August 2016, the union cabinet has given nod for foreign direct investment (FDI) under the automatic route in regulated NBFCs. NBFCs have been performing an important role in the process of intermediation, especially in areas where established financial entities are not easily accessible to borrowers. They have inspired small savers to invest money in them, and then they were courageous enough to lend to the borrowers.